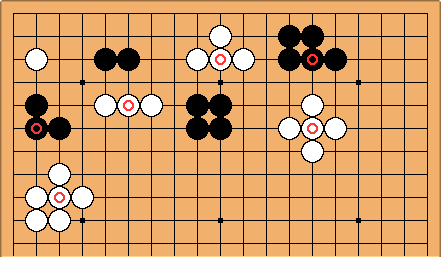 This board gives an overview of the basic killing shapes. If the eyespace of a group can be almost filled with one of them, it can be held to a single eye. 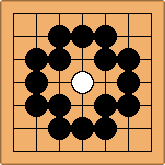 If the surrounding stones are alive, the group is dead. 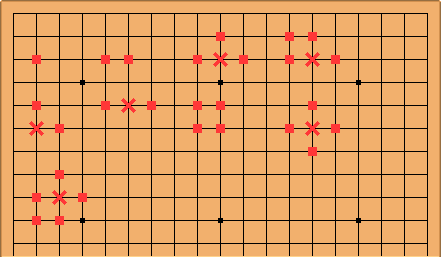 If the stones are captured, the circled stone indicates where to play next to prevent two eyes (vital point). is the vital point that needs to be played to kill to reduce the shape to one eye. If no is given the shape is already only one eye. The points marked are the vital points. 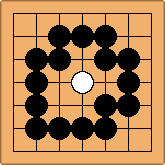 And this is how they will appear in games with a full border of black or white stones. If the border isn't complete the group has even less chance of life. 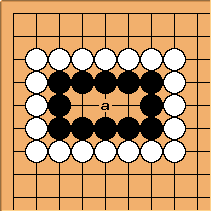 Here it is completely clear what is meant: the vital point is at a and the black groups lives or dies according to whether Black can play there first. With these killing shapes, you can almost fill a wider range of killable eyeshapes. In the corner other killing shapes exist. The presence of cutting points also induces other killing shapes. 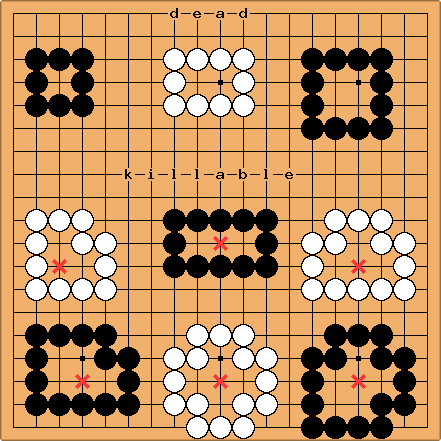 One corollary of all this is that a group that forms a single eye outside the corner with no cutting points that has eight or more points is alive unless the opponent can form an eye inside, or a ko. Often this is erroneously stated as an eight point eye is alive. This is almost true of the rabbity six, but you can form a bent four by removing two stones.